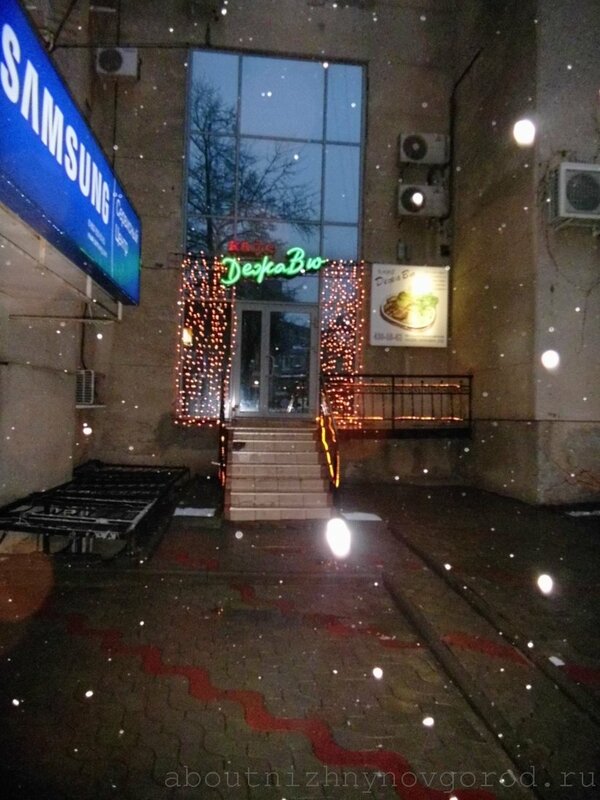 Slogan of Cafe “DejaVu”. Almost true. 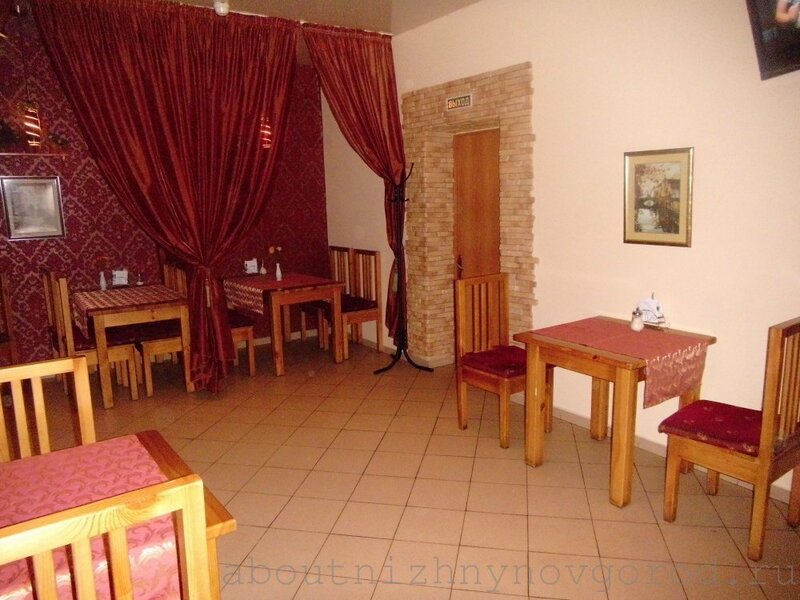 In category which contains information where to eat in Nizhny Novgorod, I can not mention about Cafe DejaVu, which is located practically on Gorky square, that is in the city centre and close to the main tourist routes. Why I “must” :) to write about it a worthy place!? So, firstly, we visit it on average once per month or two. Secondly, twice we celebrated the new year here. 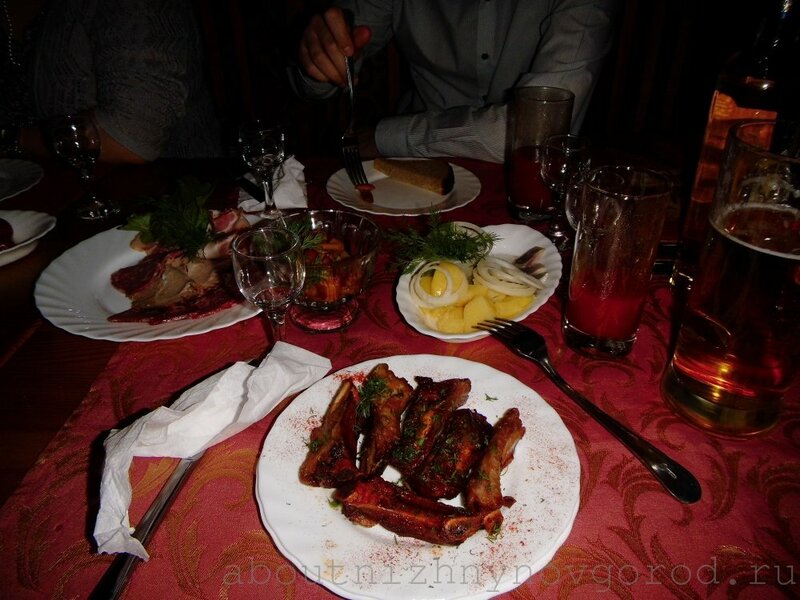 Third, in spite of everything, in it the food is not very expensive and quite delicious prolonged period of several years. Although the first couple of short years there was tastier, but maybe it just seems to us. So the main premise of two halls. Smaller room seats 25 visitors and non-smoking and prefer privacy. In the second hall, about 50 people will be comfortable, and for holidays, probably, more. 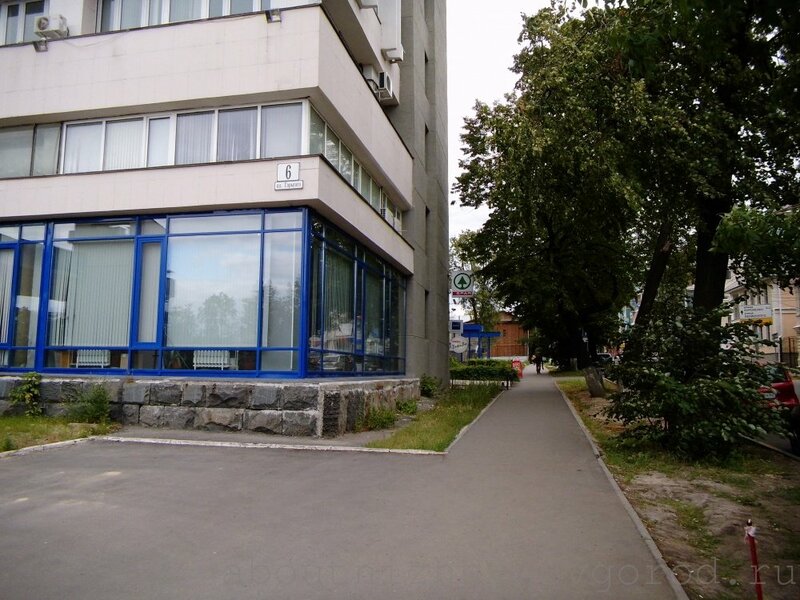 By the way, if you come here on a Friday or Saturday evening, then with high probability you will see a birthday party, a wedding or any other important date (You can “for free” join to “the disco” :) ). Not always the party occupies the entire great hall, or in small there will place, most likely , but we prefer to book a table in advance. There is also a VIP-hall for 8 people. We have never been there, I can not tell something. The passage from one room to the other. In the early years, when Dejavu just opened, the kitchen was very tasty, the portions are plentiful, then the quality dropped a few (but not critical), and dimensions slightly decreased :( , but the dishes were saturated. Price / quality of hard liquor. Prices kept average or even slightly below average. 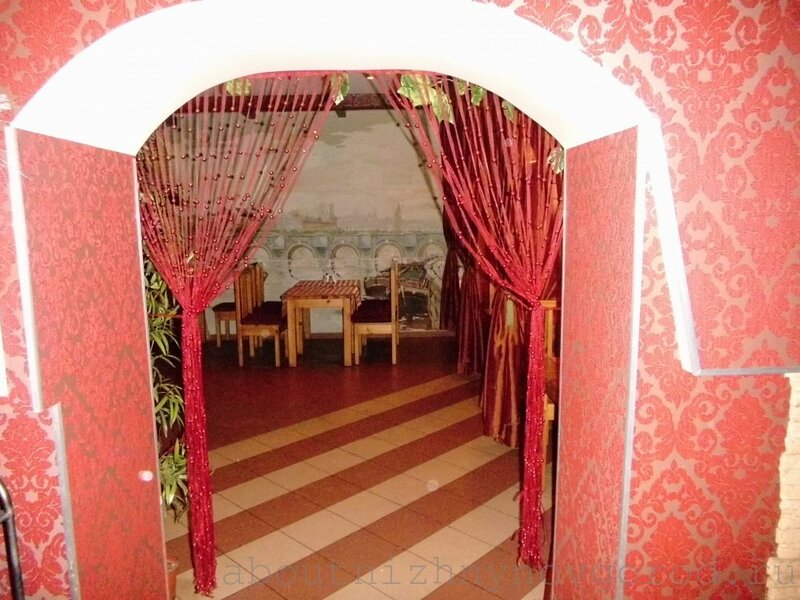 In the spring of 2014 one of the visits cost us 4000 rubles for 6 adults including grape vodka, beer and wine. 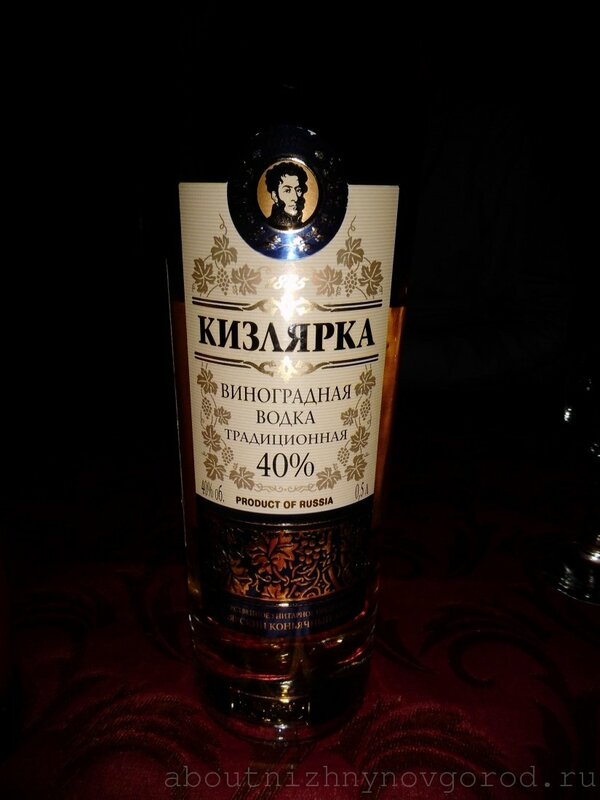 Summer celebrating a friend’s birthday is 8000 rubles per liter of brandy, a few bottles of champagne, salads and hot at all (our record in this place), but still the average check per person, it turns out, like, about 600 rubles. 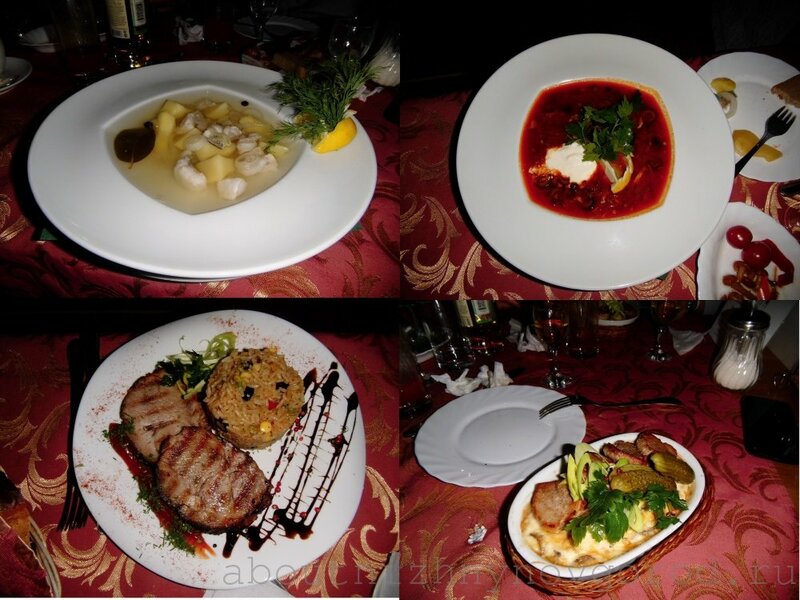 Price meals from 100 rubles to 500. You can view correct at site of cafe “Dejavu” by downloading the menu. 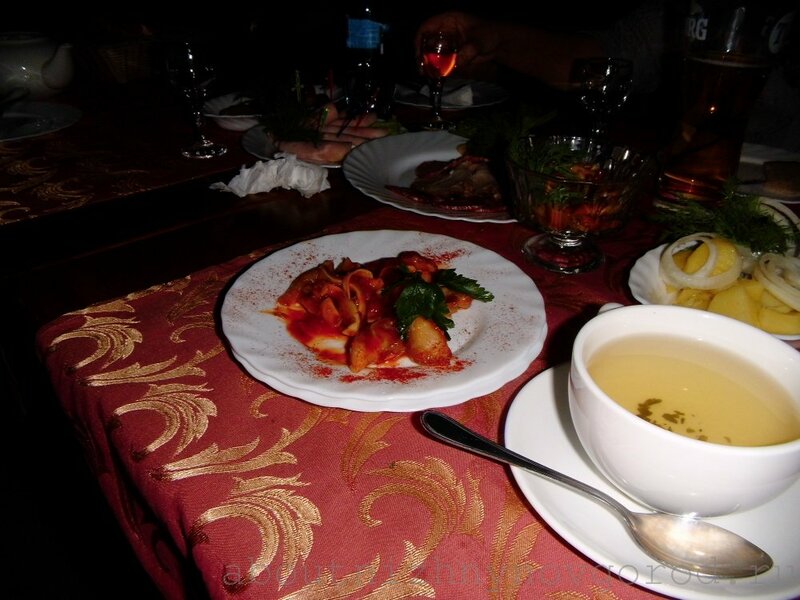 Business lunch up to 220 rubles, the menu is updated. 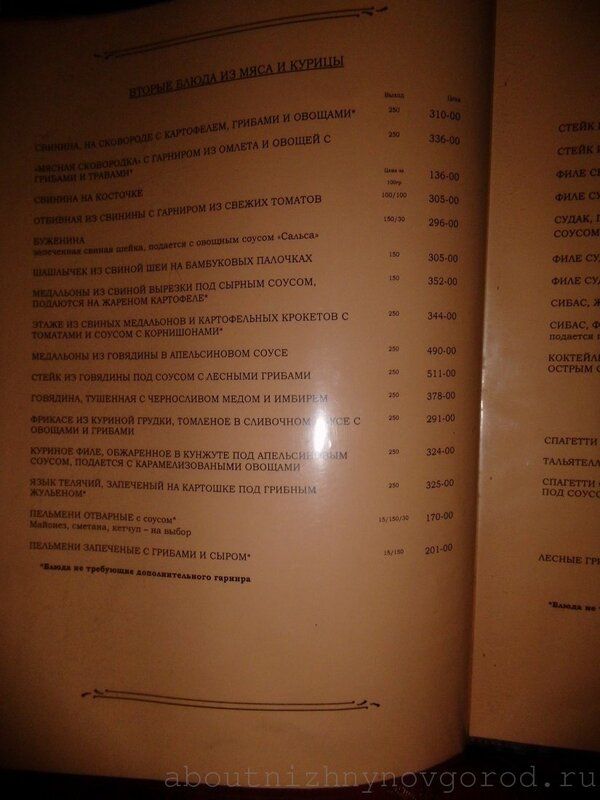 It is also worth mentioning that you can take, so-called “our”, draft beer at 90 rubles per 0.5 liters. Has no special taste, but does not cause me rejection although I am a beer fancier. In Dejavu, of course, they do not brew beer self, but provider still do not let down with a quality. 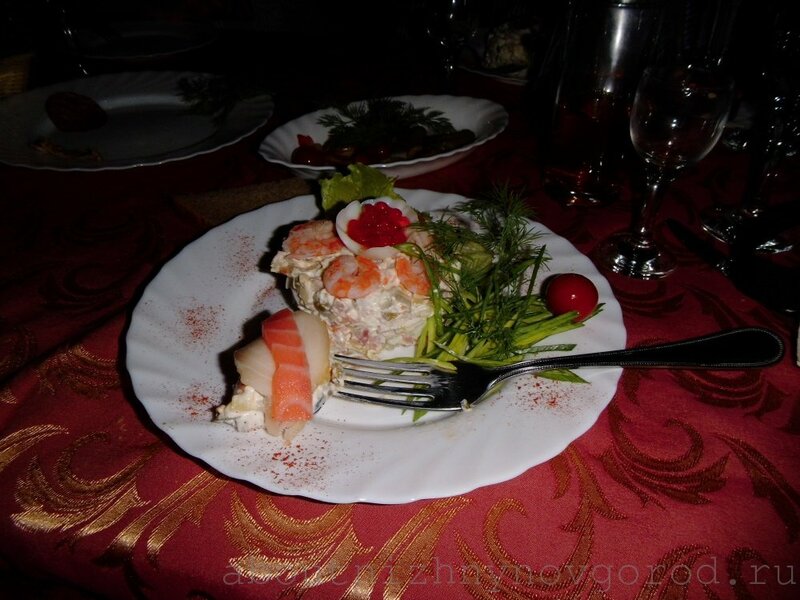 Cuisine usual for Nizhny Novgorod cafe without national deviations. 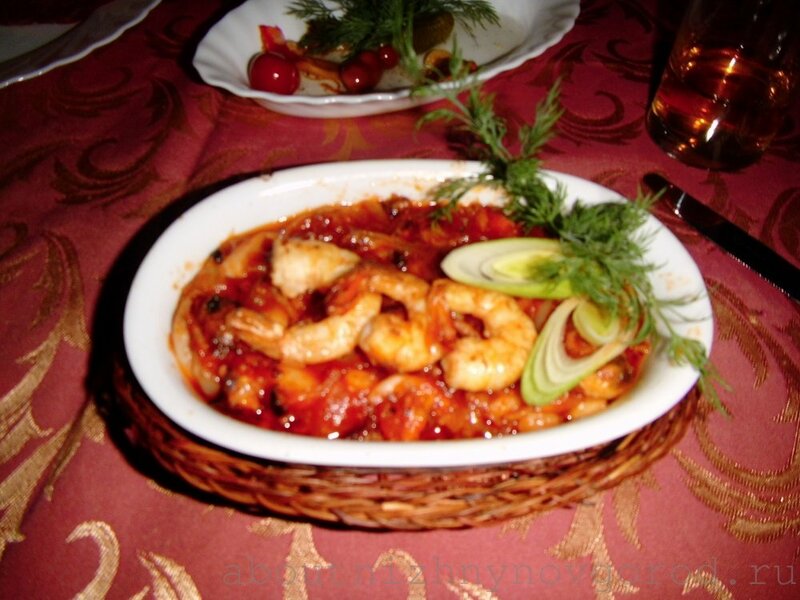 Meat and fish dishes are presented in sufficient quantity. 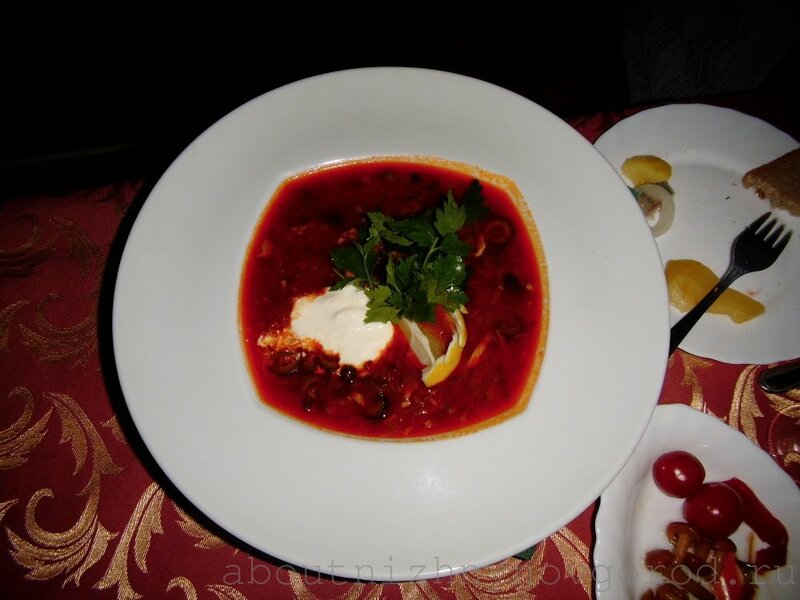 Soups – ear, borscht and other. Salads, of course, also present. Once I loved in DejaVu pork ears. But for some time they fill with sauce which are not quite suitable for ears and for beer too. Cut into large steel, so I now beg to submit their less – with vodka, if I suddenly it drink. 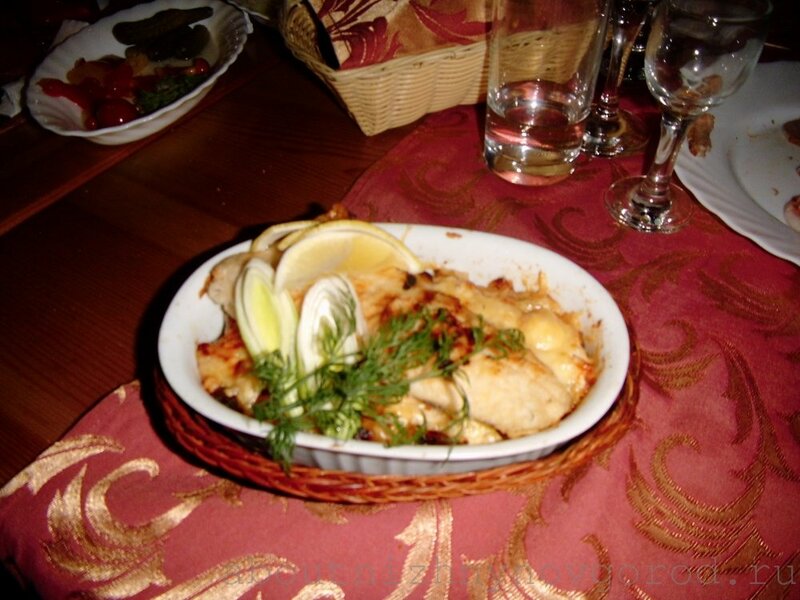 I can not select the best dish, but, perhaps, we recently often take the dish «Pork in a frying pan with potatoes, mushrooms, vegetables». 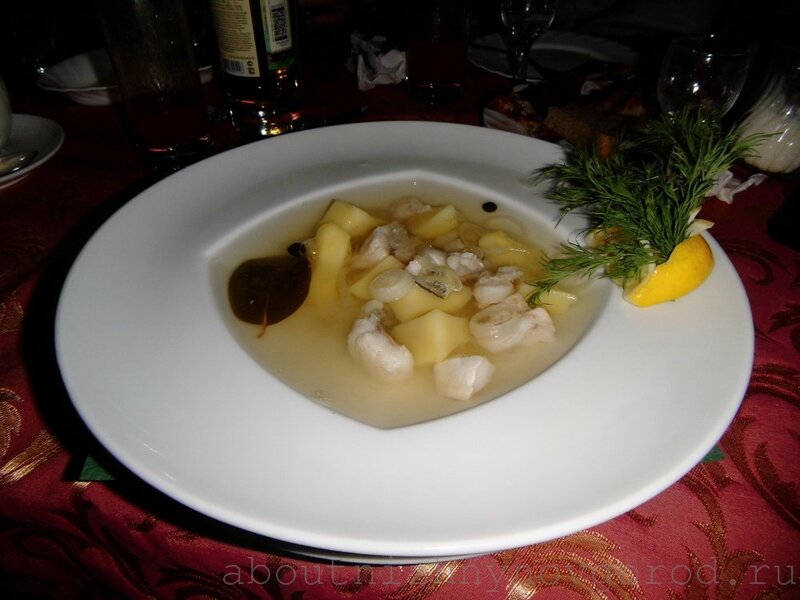 After paella and other seafood dishes, which I ate in Spain, local «Seafood cocktail, fried with spicy sauce» seemed too bold, perhaps because we were drinking brandy and maybe with beer it will be better!? 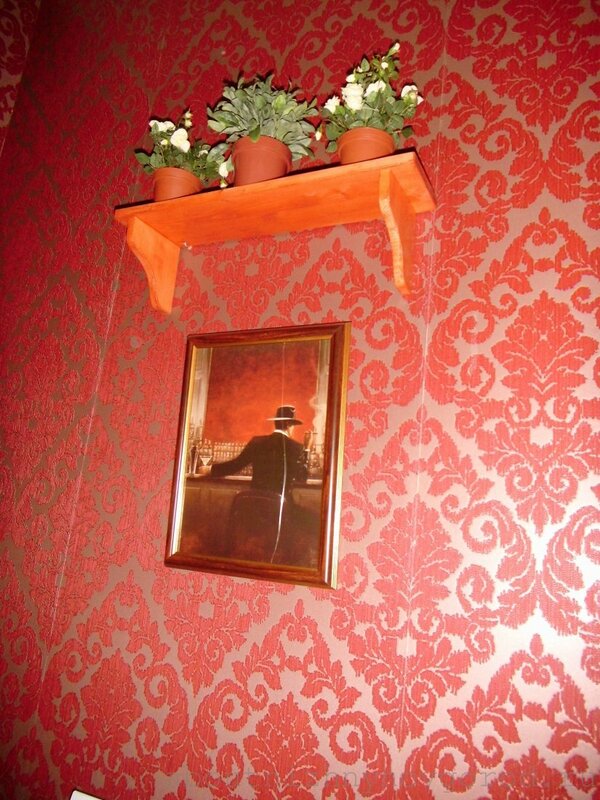 A nice feature cafe “Dejavu” (counterparts are in other places); teapot with fruit or green tea, if you score more than 500 rubles per person. After brandy before the gatherings is ended pleasant to drink tea. Do not forget this, that not everyone notices the inscription on one page menu about such a “compliment”. 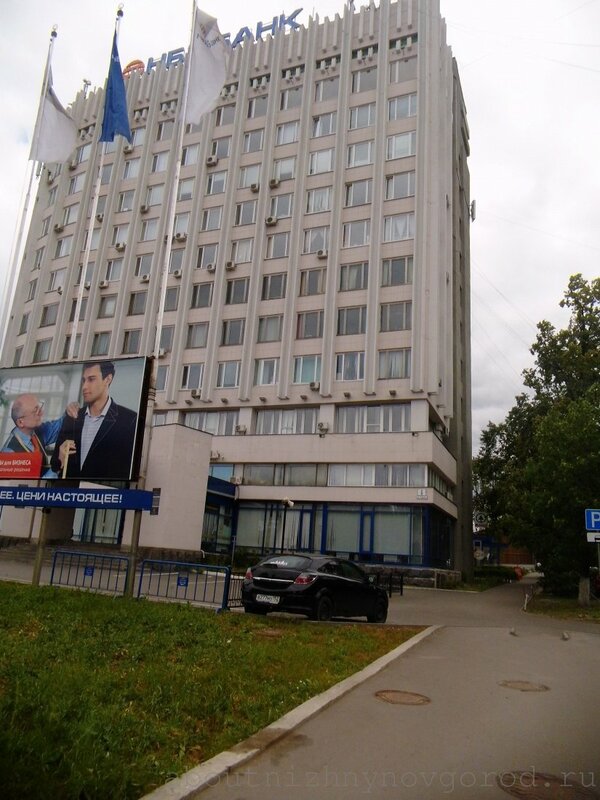 The site дежавю.рф has a panoramic view of all the halls so you can assess the situation, although for sure they were preparing to filming. And not prepared entourage can be seen in our gallery. Photos taken at different visits, all as is. 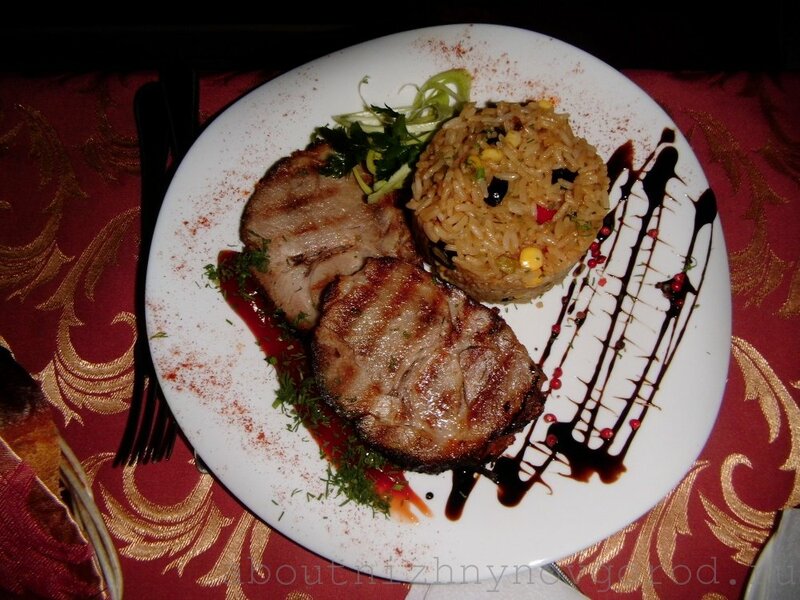 Service – 7, Cuisine – 9, Quality / price – 9, Surroundings – 8. For us solyanka (hodgepodge) has long been one of the indicators to assess the places where we eat. Last visits In Dejavu we like it not very. Not More than 7 out of 10. 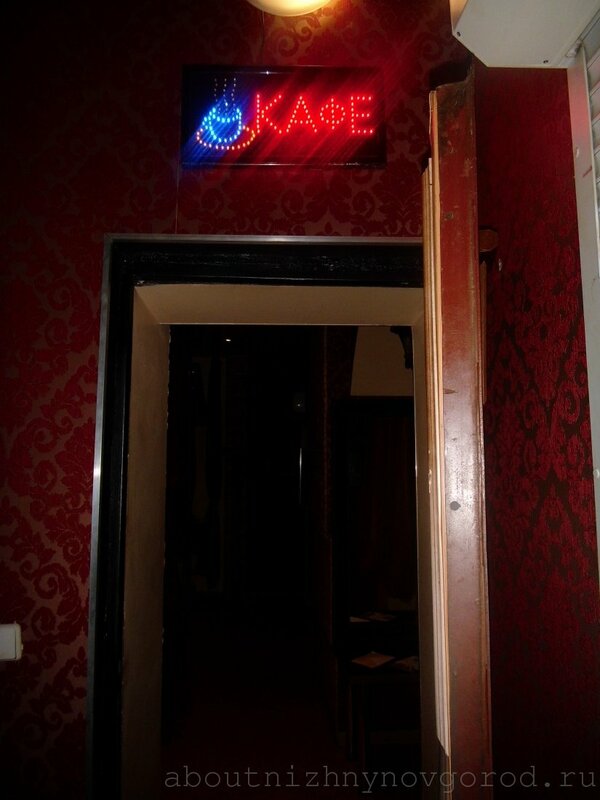 And traditionally we “appreciate” the purity and “coziness” bathrooms :) In this case, you can safely put 8. 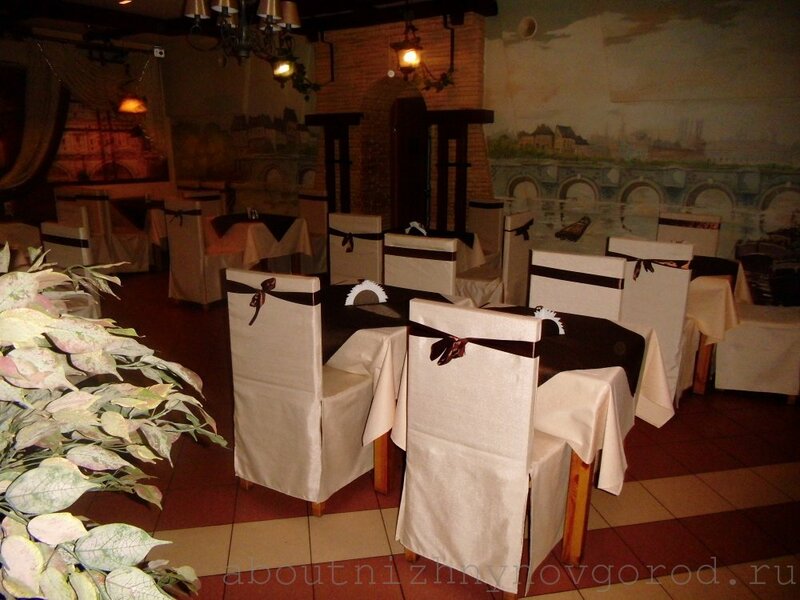 RECOMMEND to “sit” with company, lunch or dinner for guests of the city, to celebrate an event. 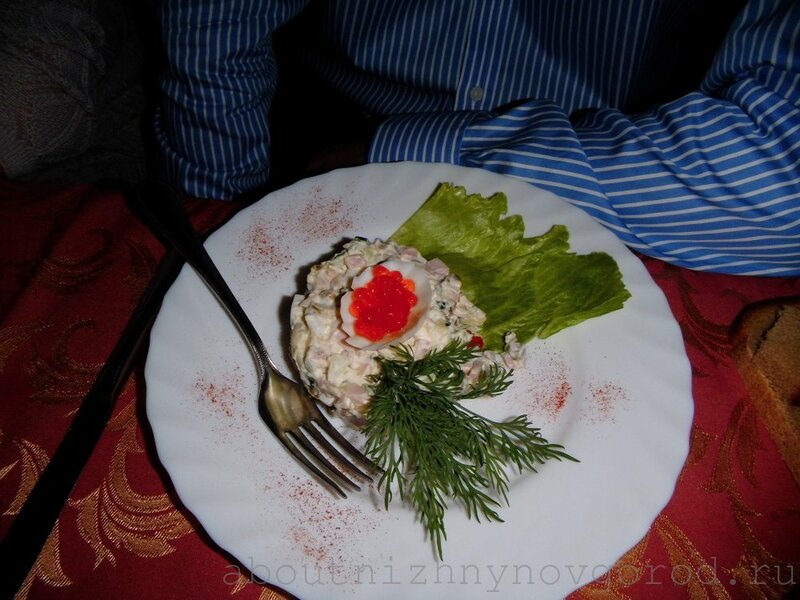 Vladimir: Delicious, inexpensive, unpretentious. No show-off. 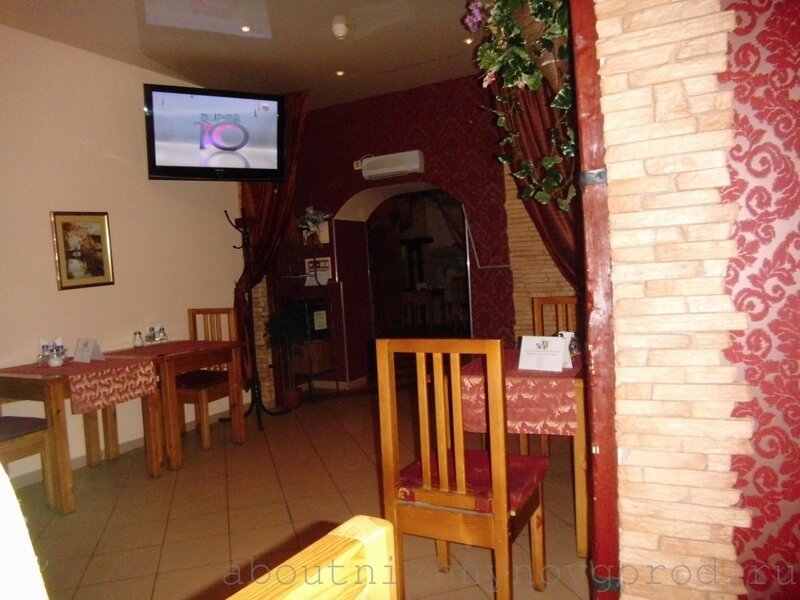 Natalia: Cheap, good location, like the interior, but recently found the places interesting. I will not describe here how to get to Gorky Square (Well, if someone will ask in the comments, it is possible). But how to find it tasty place, with pleasure. If you stand at the top of the square “behind” Gorky,so go right.Miss out street Kostin and turn to the next (Novaya str.). 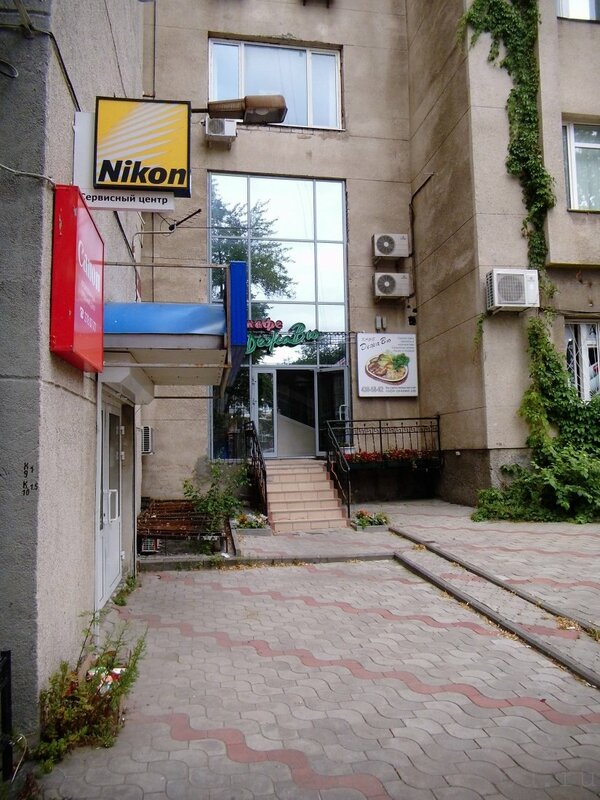 Go around the right side of the building NBD Bank and immediately left. Or bottom the square, go through the underpass (there and out of the subway) and walk out in front of the NBD Bank, turn left and left again. This entry was posted in Cafe and tagged in the center, low-cost.